President of Azerbaijan Ilham Aliyev congratulated the Azerbaijani people on Nowruz holiday. 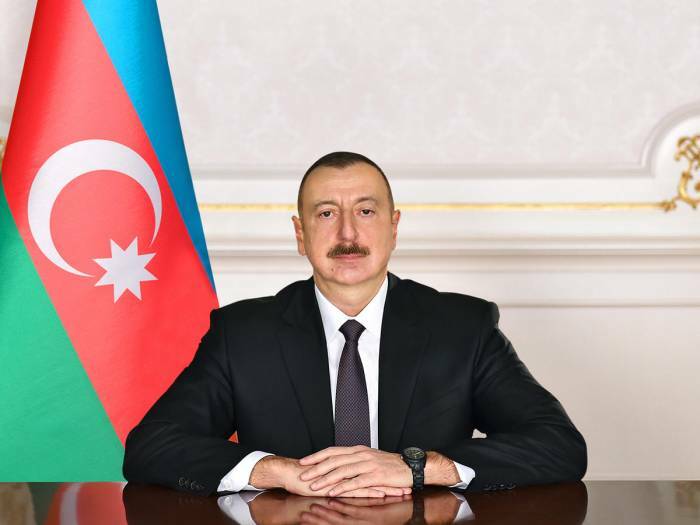 In his message, President Aliyev extended his heartfelt congratulations and best wishes for the people of Azerbaijan on the occasion of the holiday. "The Nowruz, which has since ancient times penetrated into the deepest layers of our spiritual life and occupies an exceptional place in the formation of national and cultural values, is an invaluable gift of our ancestors to current generations. The colorful ceremonies of Nowruz preserve ideas of the unity of nature and man and epitomize the whole philosophy of the life of our people and their rich inner world. In Azerbaijani soil, Nowruz has always been protected from alien influences. Not a single force was allowed the opportunity to squeeze it out of the soul of our people. Thanks to its great spiritual strength, we have managed to maintain optimism and confidence in the future even in the most adverse periods of our past. The fact that this spring holiday has now become a truly national celebration is one of the achievements of our state independence. The arrival of spring in our region is solemnly marked in accordance with the ceremonies that left a mark on history. At a time when the wave of globalization has gained momentum and traditional values undergo continuous change, Nowruz has become an expression of our attachment to our historical and cultural heritage. Each one of us is proud that this holiday, which embodies the highest values inherent in humankind, has been included in the UNESCO list of masterpieces of human heritage. Azerbaijan, which has achieved significant successes on the path of sustainable development, is embarking on a new stage of reforms, which, harmoniously combined with the renewing spirit of spring, increases our desire for creation. The various projects implemented in the same vein with the trends of continuous modernization in different areas of our life are intended to further improve the welfare of the citizens of our country. May this holiday bring a good mood, a lot of joy and abundance to every home and household".